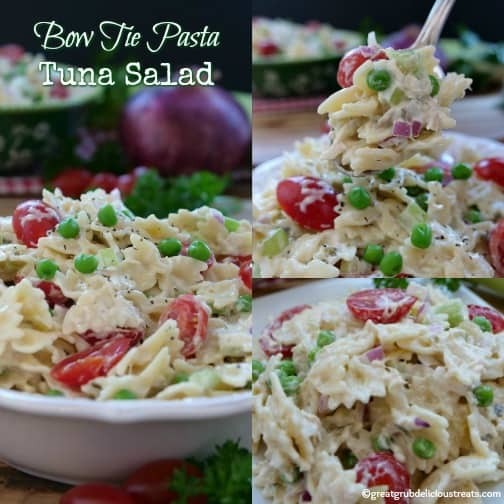 Summer is almost here and this bow tie pasta tuna salad is perfect for those backyard barbecues, pot luck parties, family gatherings and to add to a busy weeknight dinner menu. 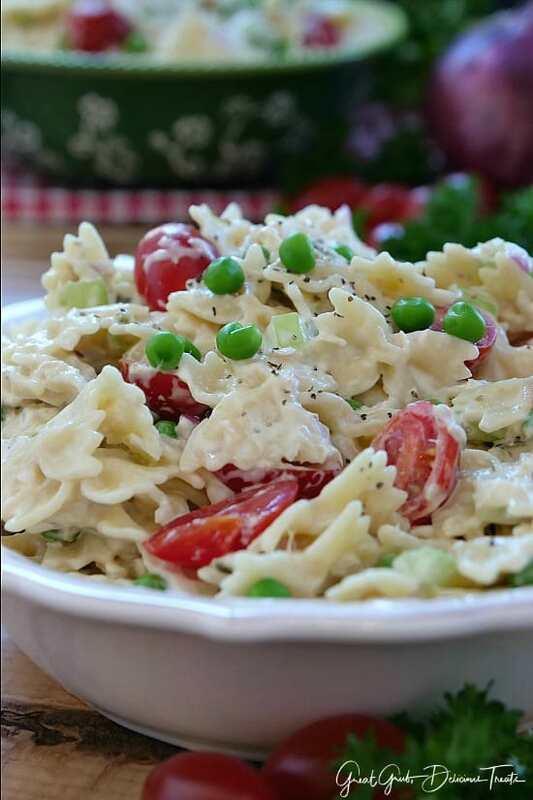 Super easy, this salad will be a hit whenever it is served. There’s just something about ‘that crunch’ when eating salads and this definitely has that crunch that is craved. 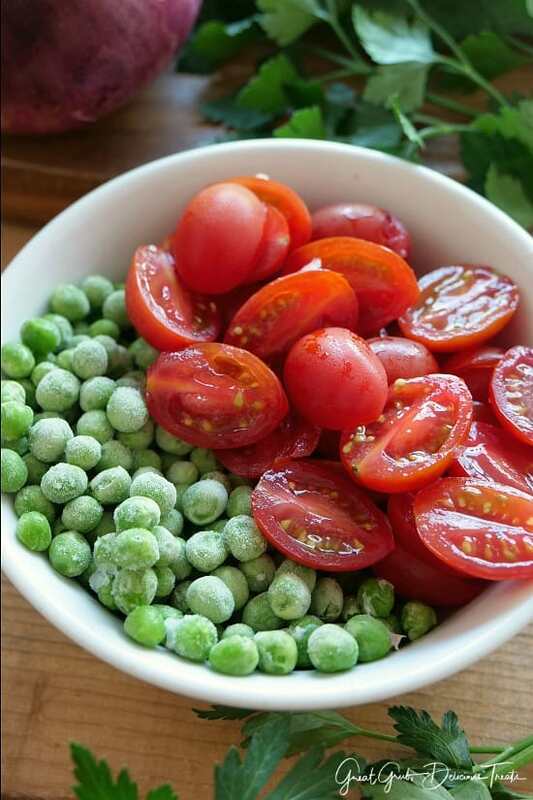 An arrays of flavors from the tuna to the tomatoes, and the red onions to the peas and celery, this is one yummy salad. All you have to do is boil the water and cook the pasta according to the package directions. 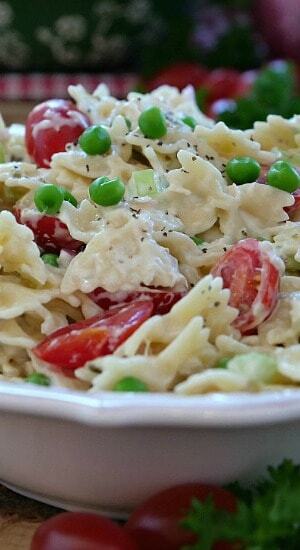 Add the drained tuna to a large mixing bowl then add the remaining ingredients except the pasta and tomatoes. Once the pasta has been cooked, drain and rinse with cold water. Set the pasta aside until everything else is mixed well. Add the pasta and stir until combined and place in the fridge until well chilled. 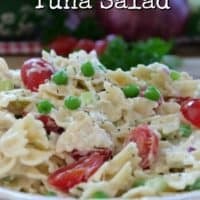 I love adding cherry tomatoes to my pasta salads so after this bow tie pasta tuna salad has had time to chill, cut them in half and toss some crisp tomatoes into the salad, then enjoy! That’s it. 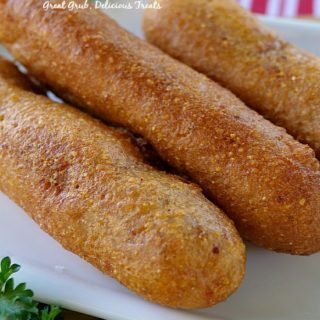 Pretty easy and does not require a lot of time slaving in the kitchen. 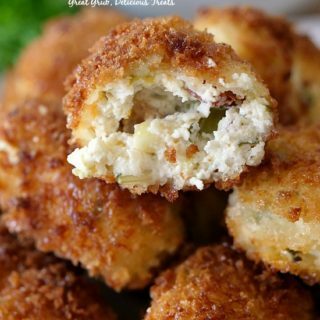 This is an easy side dish that can be made the day before. 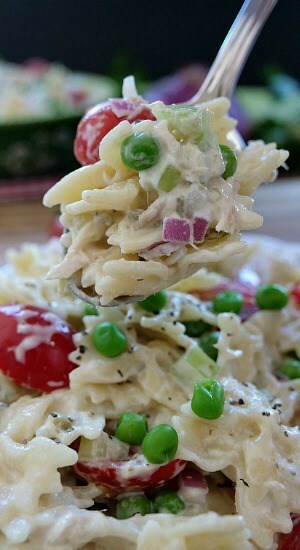 Letting the flavors mesh together in the fridge just makes this bow tie pasta tuna salad that much more flavorful. 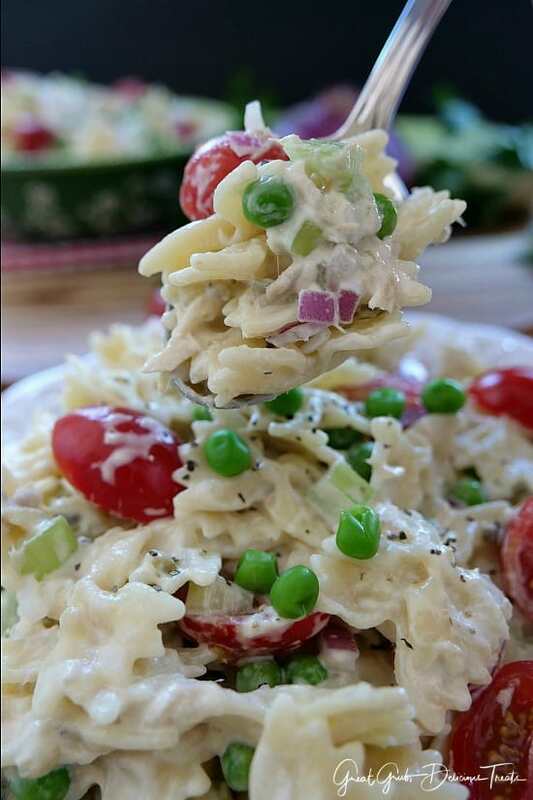 So make sure to serve this creamy salad cold. So good. 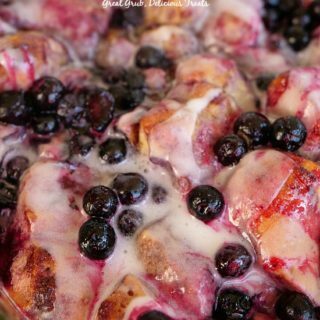 It can be served immediately after making but tastes so much better after it’s been chilled a bit. An alternative to making this tasty salad even healthier is by using a vegan mayonnaise like Just Mayo® (which you can get at Walmart), and it tastes just like regular mayo! 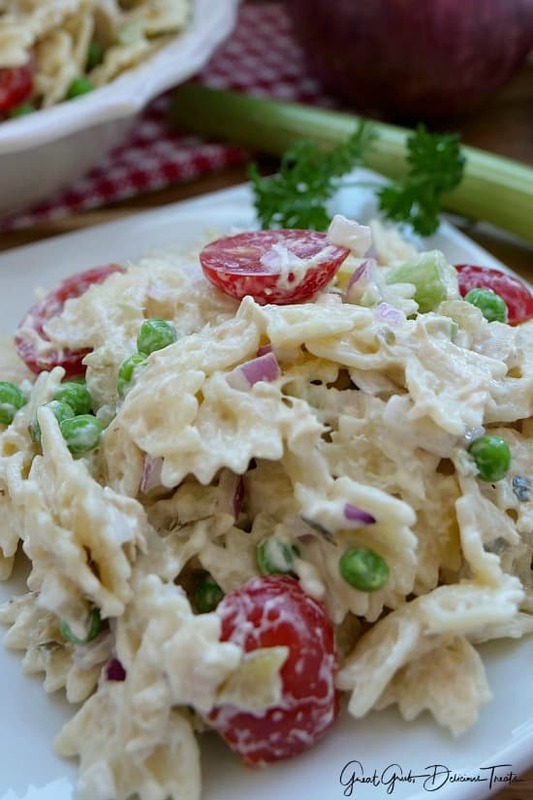 Here are a few more salad recipes you can find on the blog: Red Potato Salad, Macaroni Salad, Chicken Curry Pasta Salad, Hot Corn Salad, BBQ Bacon Broccoli Avocado Salad, Kielbasa Potato Salad, and Avocado Potato Salad, plus many more. 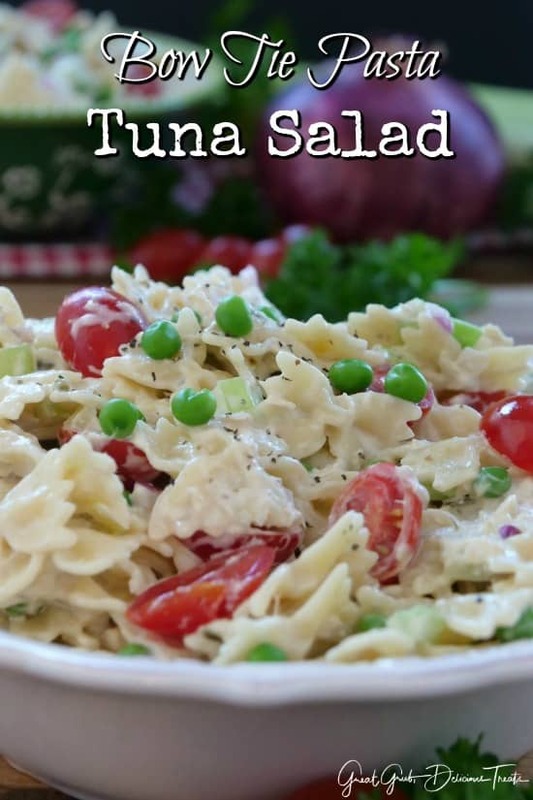 This is an easy bow tie pasta tuna salad that is simple to make and perfect to serve during the summer. It's great anytime actually. 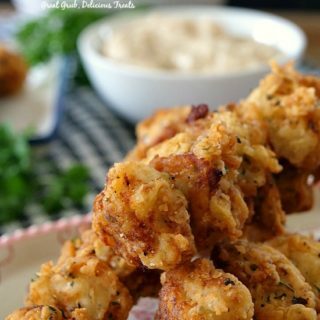 Full of flavor and one that is requested over and over. Boil water and cook pasta according to package directions. Rinse with cold water and set aside. 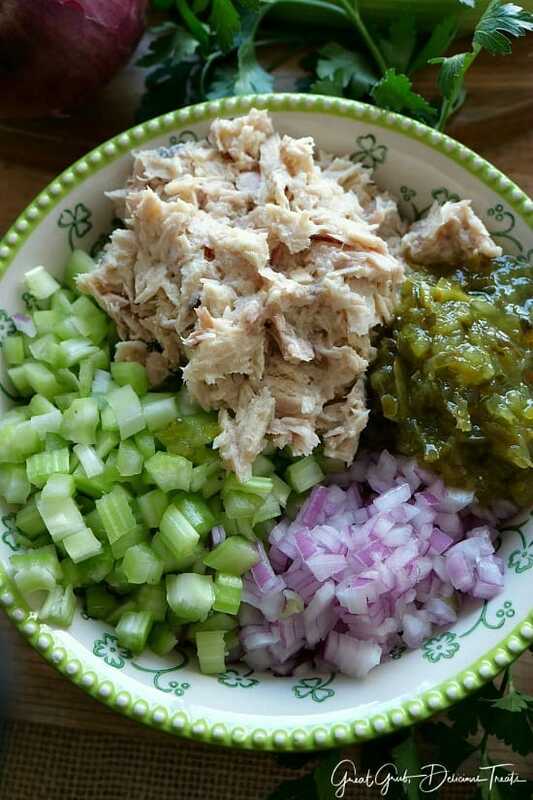 In a large mixing bowl, stir tuna, mayonnaise, peas, celery, relish, onions together until mixed well. Stir in pasta and gently stir until everything is mixed well. 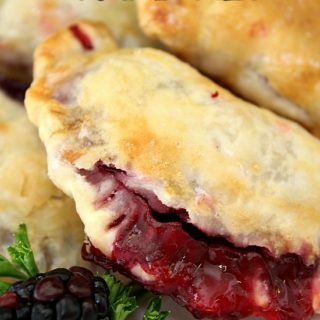 Cover and place in fridge until chilled. 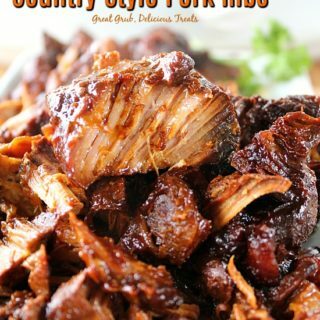 Add tomatoes, stir and enjoy!